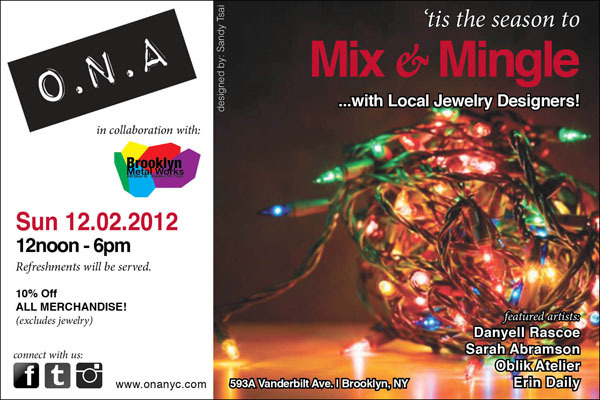 Brooklyn Metal Works is happy to be partnering with our neighbors at O.N.A., a fantastic clothing and accessories boutique here in Prospect Heights, for an afternoon of jewelry! Please join us on Sunday December 2nd from 12-6pm to meet local jewelers and shop the store. 593A Vanderbilt Ave. between Dean and Bergen. See you there!